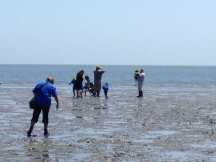 Yogi Francis, an Interpretive Student Aide, leads kids and their families on a low-tide walk at Crab Cove, EBRPD. On a recent summer day, local Bay Area families streamed off the bus, eager to explore the park and participate in the Crab Cove Visitor Center programs. It may not seem like your typical pharmacy, but these families are following doctor’s orders by participating in a new partnership between UCSF Benioff Children’s Hospital Oakland (CHO) and the East Bay Regional Park District (EBRPD): Park Prescriptions. The goal is to reduce chronic obesity and promote physical activity among children. Exploring in the mudflats at low tide is a multi-sensory experience. Dr. Razani is a leader in the Bay Area medical community with the “Healthy Parks, Healthy People” coalition. A growing number of physicians are concerned with children’s health and their disconnection from nature and the outdoors. The statistics are alarming, with obesity affecting one-quarter to more than one-third of young people in the United States. Rates in African-American and Hispanic communities are disproportionately higher. Childhood obesity can lead to health concerns and complications including asthma, diabetes and cardiovascular disease. Attention-deficit disorders and vitamin D deficiencies also plague our youth. 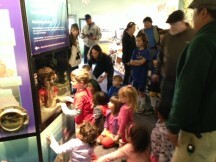 Families get a close look at bay creatures in Crab Cove's aquariums and learn about their habits and habitats during the fish feeding program. Kids aren’t the only ones who benefit from time spent outdoors. Studies show that time spent in nature can help stressed-out, “nature-deficit” adults, too. In Japan, Shinrin-yoku -- the practice of “bathing” all five senses with time spent in the forests -- has been shown to reduce stress and blood pressure, along with improving mood. Taking in the natural sights, sounds, smells and even touch and taste (carefully, of course) can be accessible for everyone, unlike expensive spa treatments. 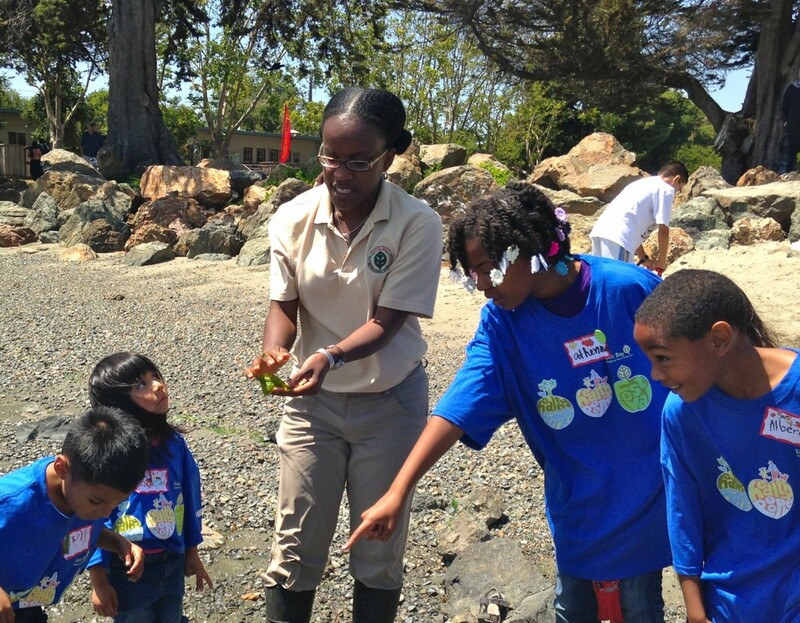 You can learn more about free and low-cost nature programs and the EBRPD’s “Healthy Parks, Healthy People” special events in the Regional in Nature Activity Guide. There are also many resources for physicians and families interested in better health for children at the National Environmental Education Foundation website (NEEF), including “Nature Prescription” forms and recommendations. The Institute at the Golden Gate Healthy Parks, Heathy People programming also provides additional resources for physicians interested in prescribing nature for their patients. You can also find a listing for ten free apps that will help you get inspired to get outdoors and get active on the NEEF website.